When one of the biggest and legendary names in graffiti and street art is about to open a new exhibition, we are all ears. Well, its come to the point now that when Brazilian twins OSGEMEOS are set to open something new, the world takes notice, from high culture to low, street culture to blue chip culture. 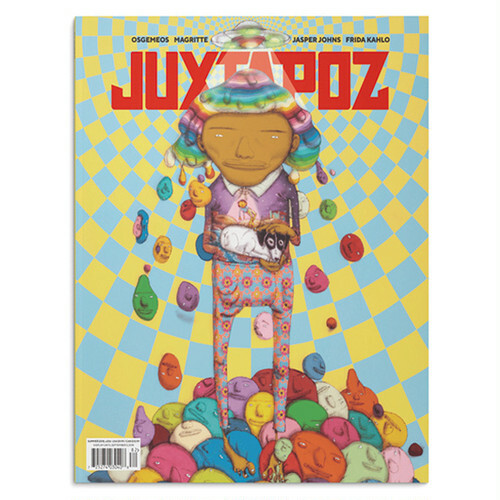 We are excited to announce our Summer 2018 Issue with cover artists, OSGEMEOS, featuring an extensive interview documenting their early roots in São Paulo, their newest gallery works, and intimate stories of all the friends they have made along the way. Also in Summer 2018 Longform interviews with Oli Epp, Lamar Peterson, KOAK, Jeffrey Cheung, Monica Kim Garza, Serena Cole and an essay on the greatness of Magritte. We dig deep with Know Hope, Jasper Johns, Alina Tsvor, A Savage of Parquet Courts, Rammellzee, Fulton Washington, and more!